The MacDermots are a clan of royalty and rebels. The MacDermot clan and its descendants have produced kings, revolutionaries, politicians, CEOs, sports figures, authors and at least one Hall of Famer throughout the centuries. In addition to “MacDermot,” the name has several geographic variants, including the Irish MacDiarmada, McDermitt, and McDiarmid, and the Manx Kermit or Kermode. If you have the aforementioned surnames, you qualify as a descendant of 10th century king Dermot mac Tadhg Mor (d. 1159), who ruled as King of Moylagh and as vassal of the famous Ó Conchubhair Kings of Connacht. The seat of the MacDermot clan was Carraig Mhic Dhiarmada, anglicized as Carrick McDermott and also known as “The Rock,” located on Castle Island in Lough Key, County Roscommon. One historical chronicle, the Annals of Loch Cé, mentions the early castle as it burned down as a result of a lighting strike. “The Rock of Loch-Cé was burned by lighting, the kingly home of the descendants of Máel Runanaid […] where six or seven score of distinguished persons were destroyed along with fifteen men of the race of kings and chieftains.” In addition to recorded history, the clan is steeped in Irish legend. On another Lough Key island called Trinity Island, just a swim away from The Rock, Una Bhan MacDermott, fell in love with Tomás Laidir Costello, a local man of whom her father disapproved. As a result of this disapproval, Una Bhan fell into a deep melancholy and became gravely ill. But her brother felt pity for her and called upon Tomás to come and sit by her bedside. Tomás came and she began to recover. However, before he left the island to go to back to Trinity Island, he vowed that he would never return unless Una’s father called on him before he reached the shores of Trinity. Una returned to her melancholic state after her beloved left. Una’s father then rushed to get the message across to Tomás but was too late – Una Bhan had died. Tomás was so broken-hearted that every night after her tragic death, he swam the distance from Trinity Island to Castle Island just to sit by Una’s grave. One stormy night, however, Tomás drowned. He was buried next to Una. It is said that their love manifested itself into a tree, as one grew near their graves and had their branches intertwine making their love everlasting. 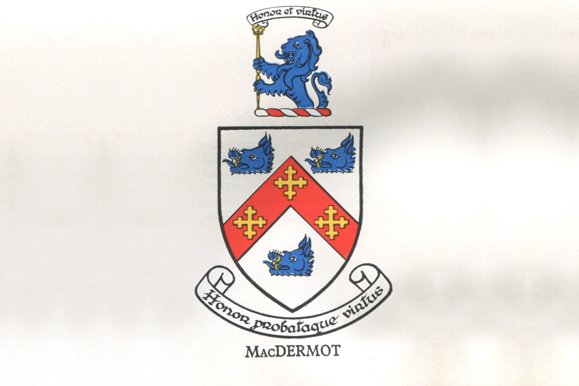 Throughout the Middle Ages, the MacDermot clan held power within the kingdom of Connacht even after the Norman invasion in 1169. But in the late 1580s, the last King of Moylagh, Turlough, died, and the land that was once the MacDermot’s was confiscated for English lords by King Charles II. Even with their lands lost, the MacDermot clan survived. The clan and their subjects still considered the MacDermots royalty and, by the early 1700s, they had assumed the title of Prince of Coolavin, so called for the area where they were able to acquire land in County Sligo, just north of their previous holdings in Roscommon. Still in use today, the title was most recently inherited by Rory MacDermot in 2003, who is also officially recognized by the Irish Genealogical Office, a subsidiary of the government’s Department of Art, Sport, and Tourism, as the authentic chieftain of the clan. 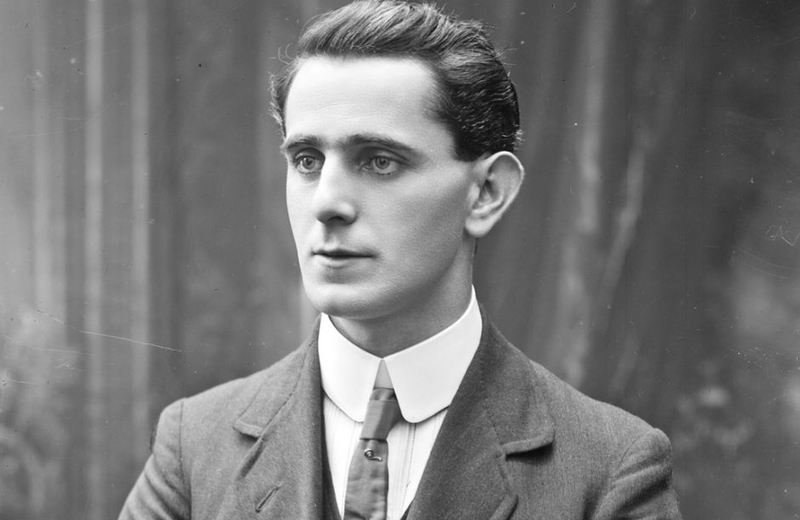 Photograph of Seán MacDiarmada from the Keogh collection. As the MacDermots of old resisted the English colonization of their lands, their descendant Seán MacDiarmada (1883 – 1916), while not a prince or a chieftain, resisted the English influence on Ireland and died for the cause his ancestors fought for. MacDiarmada was born in rural Leitrim amidst the hallmarks of 20th-century British imperial oppression. After earning his education in bookkeeping and Irish, MacDiarmada settled in Belfast in 1905 where he joined the Gaelic League, the Ancient Order of Hibernians, and Sinn Féin, wanting Ireland’s language, culture, and politics to overcome the British influence on Ireland at the time. MacDiarmada soon joined the Irish Republican Brotherhood (IRB). He was sworn in by Tom Clarke in 1910 and became the organization’s full-time recruiter and organizer. From this point on, MacDiarmada constantly toured the country, recruiting officers and establishing branches of the IRB. He would attend Gaelic Athletic Association matches, and Gaelic League-sponsored céilí to recruit members for the revolution that was brewing. MacDiarmada became a key member on the IRB’s military council. This led to the planning of what would later be known as the 1916 Easter Rising. As MacDiarmada knew his fair share of Irish revolutionary history, he made sure that everything that was discussed within the military council was treated with the utmost secrecy. During the Rising itself, MacDiarmada, who had no formal military rank, was stationed at the General Post Office headquarters. After the rebels held out in the GPO for almost a week, the Provisional Government surrendered and Seán MacDiarmada alongside 15 other leaders, were court-martialed and executed by firing squad. While Seán MacDiarmada spread the seeds of Irish revolution and independence, another McDermott, Bobby McDermott, spread the seeds of basketball as a profession during the early 1930s and ’40s. 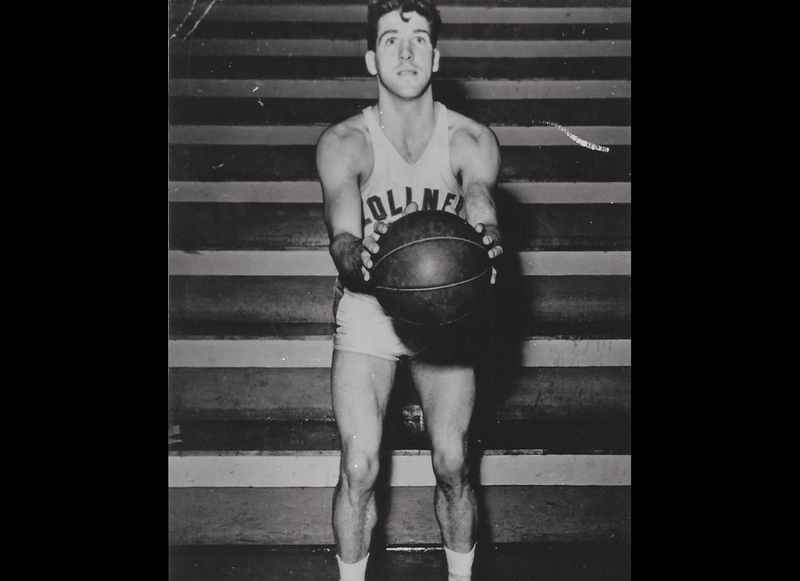 Robert “Bobby” McDermott (1914 – 1963) was born in Whitestone, Queens, where he had always had a basketball in his hands and was constantly honing his game in both high school and local playgrounds. As a teenager during the Great Depression, McDermott’s basketball skills, and perhaps his Irish ingenuity, led him to making bets with other players in the park that he would beat them. He was so successful – making up to 5 dollars a day – that he ended up dropping out of school. McDermott joined the Brooklyn Visitations in 1934 and led the league in scoring, enabling them to win the ABL championship. After his time at the Visitations, McDermott went on to the Baltimore Clippers and played with them from 1939-1941. After this time is when Bobby McDermott really began to shine. For the next five years, McDermott played for the Fort Wayne Zollner Pistons in the National Basketball League (NBL). While at the Pistons, he worked on his signature set shot relentlessly and soon became the NBL’s top scorer with an 80-percent-and-above free throw conversion and was deadly from long range. His conversion rate led to the Pistons to win 80 percent of the games he played during his time there and led them to five championships of which they won two. Not only was McDermott successful as a player but he went on to become a player-coach from 1943 to 1950. After the 1946-47 season, players, coaches, and sportswriters named Bobby McDermott as the greatest player in the NBL’s history. In 1988, he was inducted to the NBA’s Naismith Basketball Hall of Fame. Our honoree, Bill McDermott takes after his grandfather in his work ethic and success. (See page 38 for our cover interview with him). 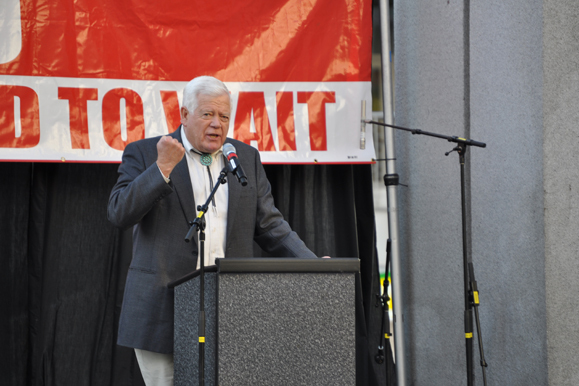 Former Congressman Jim McDermott (b. 1936) was the first member of his family to attend college. He graduated from Wheaton College and went on to earn a doctorate at the University of Illinois in psychiatry. In 1970 he ran for public office and was elected to the Washington State legislature as a representative from the 43rd district. He later ran for state senate in 1974, where he created and sponsored what would be eventually the Washington Basic Health plan, the first state program in the United States that offered health insurance to the unemployed and the working poor. Looking after the sick and the welfare of others would be hallmarks of his future career in politics. In 1987, McDermott became a Foreign Service medical officer in the Democratic Republic of Congo (then Zaire). There, he provided psychiatric services to soldiers and personnel from USAID and the Peace Corps. A year later, in 1988, McDermott made his triumphant return to Washington State and successfully ran for its 7th congressional district. In his first term in Congress, McDermott sponsored the AIDS Housing Opportunity Act, which provides state and local governments with resources to devise long-term strategies for meeting housing needs for those with AIDS and their families. Congressman McDermott continued to help Americans as he sponsored the Violence Against Women Justice Department Reauthorization Act of 2005, and the Depleted Uranium Study Act of 2006. After 14 terms in the House of Representatives, he retired in January. 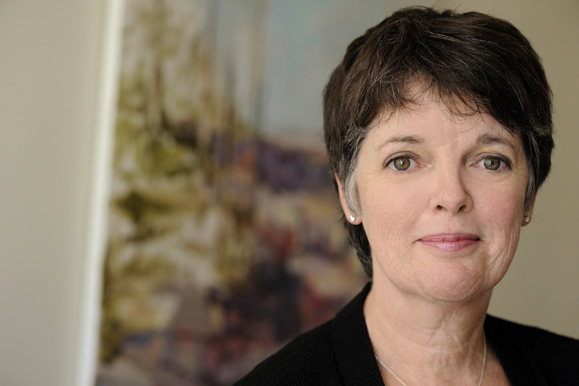 The author in the aforementioned list of marvelous MacDermots is Alice McDermott (b. 1953). She has written short stories and articles published in the New Yorker, Seventeen, the New York Times, and the Washington Post. Her writing is often compared to a time machine because her works are so detailed that readers can be transported back to the 1960s, like in After This, or the 1920s, like in Someone. She is also known for her 1998 book, Charming Billy about Billy Lynch, beloved member of a New York Irish community and the impact of his lifelong struggle with alcohol after the death of his love, Eva. She has been inducted into the New York Writers Hall of Fame and was a finalist for the Dayton Literary Peace Prize. McDermott has been nominated over ten times for awards like the Pulitzer Prize, the American Book Award, and the International IMPAC Dublin Literary award.